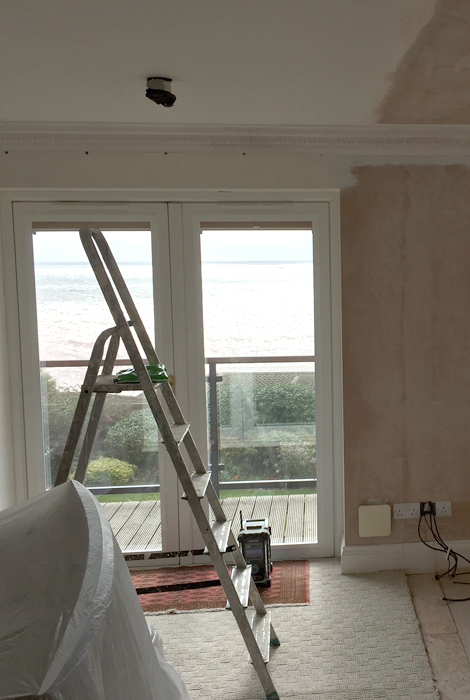 "The expert team at South West Painters & Decorators were asked to spray paint a penhouse flat on the sea front in Budleigh Salterton using top quality products and spraying tools." 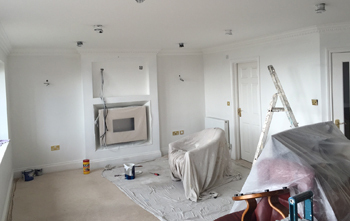 Spraying a penthouse flat on Budleigh sea front, we used two to three coats on as a based layer for the bare plaster. 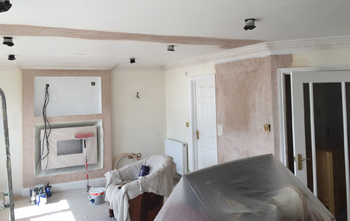 The walls were then sprayed with Dulux Vinyl Matt paint and with new cornice which was applied using spraying equipment. 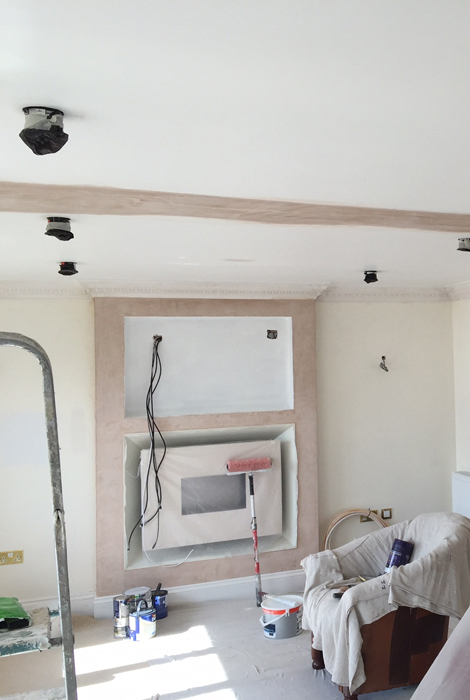 Then the ceiling had a base layer applied, the cornice was sprayed with two coats of vinyl Matt in brilliant white. The walls paint was applied with a roller, two coats were used to give a high quality finish to the domestic property. 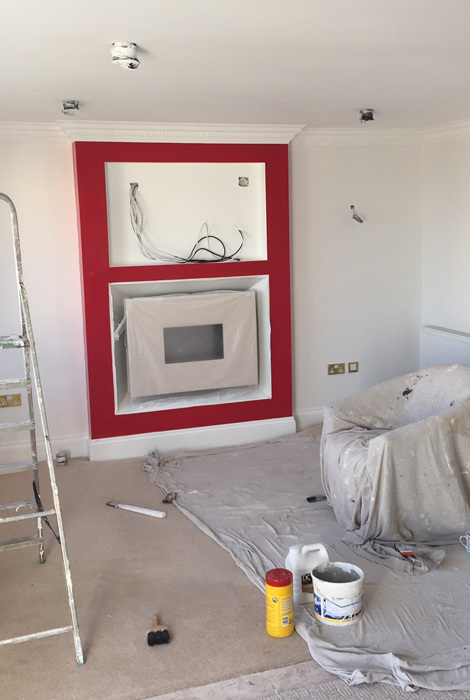 We at South West Painters and Decorators, based in Exeter are able to ensure a high quality service, using best equipment and products. With the recently purchased a new a Wagner PS 3.27 sprayer that will ensure that we are able to provide reliable, trustworthy and high quality spraying services. For more information on our reliable and dependable services, please get in touch with our painters and decorators in Exeter today. "To ensure quality we only use trusted and reputable materials."